“Seven short weeks ago, the signing of the Joint Plan of Action (JPA), negotiated between the P5+1 and Iran, demonstrated that resolute, good faith diplomacy may indeed have the potential to curb Iran’s nuclear program. That agreement was an historic first step; this weekend’s achievement of an agreement to begin implementation of the plan is the second step, and is evidence of the seriousness of the parties and the current negotiating effort. It underscores the importance of giving diplomacy the space to succeed, as the parties enter the critical 6-month implementation period that will test whether a negotiated agreement is, in fact, possible. 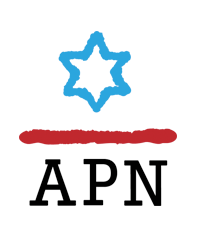 “APN congratulates the Obama Administration and its partners in the international community on another important diplomatic achievement. We also welcome this further demonstration of Iran’s readiness to seriously negotiate the future of its nuclear program. Anyone who cares about U.S. national security, the security of Israel, and stability in the Middle East should welcome this latest achievement. It is a tangible sign of progress on the road to a potential negotiated agreement that addresses international concerns over Iran’s nuclear program, including legitimate Israeli concerns about a potentially nuclear-armed Iran. Such an agreement holds the promise of a more secure and stable Middle East, and could have positive impact outside the region as well. “We once again call on Congress to stand with the Obama Administration and support this diplomatic effort. It is irresponsible in the extreme for Members of the House and Senate to be pursuing new Iran sanctions legislation or any legislation that could undermine negotiations or the implementation of the Joint Plan of Action. New sanctions are not necessary in order to keep up the pressuring on Iran – as members of Congress know, far-reaching sanctions on Iran remain in place, and will stay intact unless and until a final agreement is reached. Likewise, new sanctions are not a necessary precaution for the possibility that Iran will betray this diplomatic effort. Should Iran do so, there is nothing preventing Congress from moving swiftly, at that time, to pass new legislation addressing new circumstances. Now is the time for members of the House and Senate to stand up to outside pressure, foreswear partisan and political grandstanding, and get behind the efforts of the Obama Administration and the international community to achieve a negotiated final agreement that verifiably curbs Iran’s nuclear ambitions. “Finally, we urge American Jewish organizations to stop their ongoing campaign in support of new Iran sanctions. This campaign is bad for America, and bad for Israel. It jeopardizes the President’s efforts to pursue a careful and responsible policy on one of the world’s most sensitive challenges. It also foolishly allows some to use support for Israel as a weapon of partisan politics.